How gorgeous is this brocade dress? 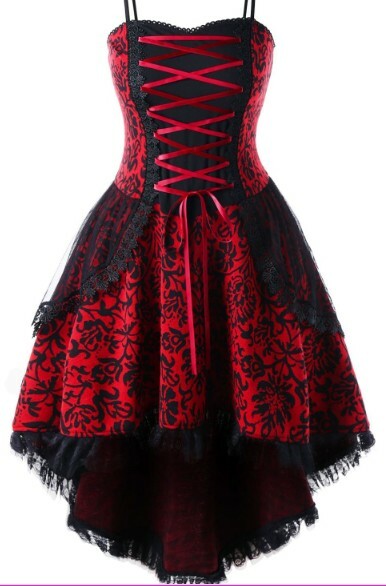 It’s also available in plus sizes, and in colors black and white, so you can definitely wear it after Halloween to special occasions or even gothic parties if that’s your sort of thing! 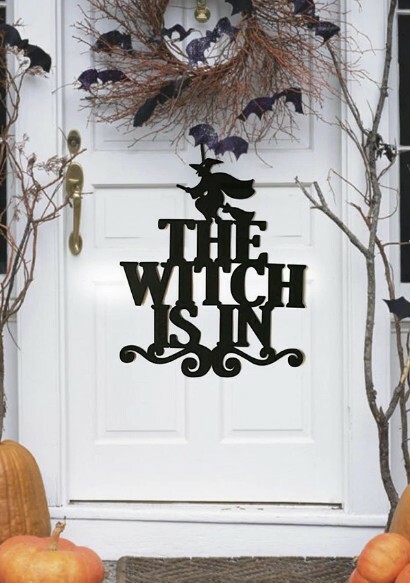 Because every bad witch needs a warning sign at her door! OK, just kidding, but still it’s really cute and stylish. 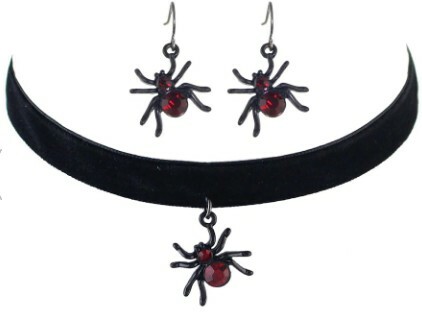 Now for the finishing touches of your look, I have chosen this spider earrings and choker set, which is scary, yet glamorous enough, so you can wear it again even after the holidays are over! Hurry up, get your shopping on, there is still some time left till our fave holiday, however, there’s not much time so do not waste it! I love Rosegal because of their reliable, fast and most importantly free shipping, so if you act now you can get your items on time! Which holiday items do you need the most? Which one is your favorite on the list?